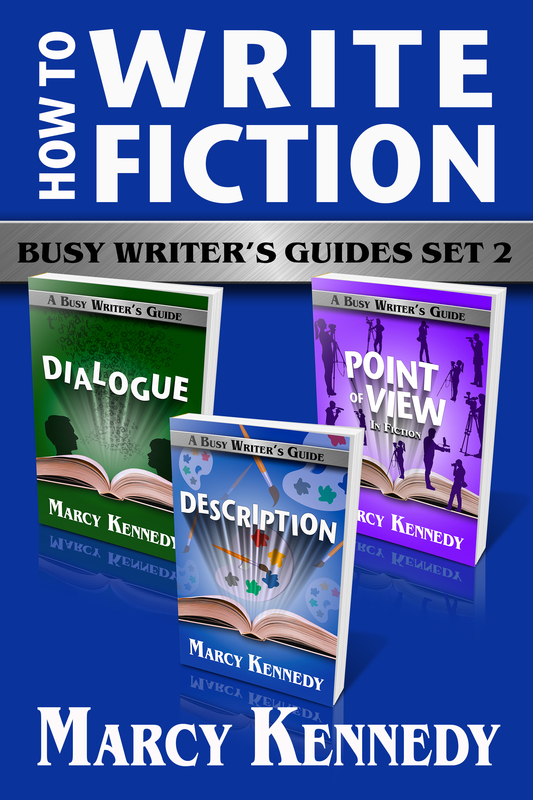 I’d hoped to release my second Busy Writer’s Guides box set months ago, but it’s finally available! I’ve put together Dialogue, Point of View in Fiction, and Description this time. Dialogue, point of view, and description are foundational skills you need to master to create vivid fiction that balances your character’s internal life with the external story world in a way that keeps readers turning pages. The books in this set put writing craft techniques into plain language alongside examples so you can see how that technique looks in practice. In addition, you’ll receive tips and how-to exercises to help you apply what you learn to the pages of your own story. Most importantly, every book in the Busy Writer’s Guide series cuts the fluff so that you have more time to write and to live your life. To write great fiction, you need to know how to write dialogue that shines. You know the benefits strong dialogue can bring to a story—a faster pace, greater believability, increased tension, and even humor. But you might not know how to achieve it. In Dialogue, you’ll learn techniques and tricks for making your dialogue shine, as well as practical editorial steps you can take to polish your dialogue. Point of view isn’t merely another writing craft technique. Point of view is the foundation upon which all other elements of the writing craft stand—or fall. 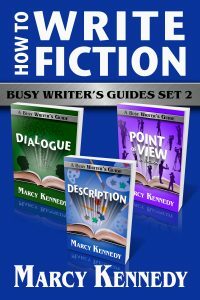 In Point of View in Fiction, you’ll learn how to choose the right POV for your story, how to avoid POV errors, how to choose the right viewpoint character, and much more. Description in fiction shouldn’t be boring for the reader or for the writer. Description will help you take your writing to the next level by exchanging ho-hum description for description that’s compelling and will bring your story to life, regardless of the genre you write.